Vibonics Perform "blah blah blah"
It is safe to say that Toronto is a city filled with incredibly talented musicians. Exclaim!TV is working hard to dig deep into the depths of the city to showcase those amazing artists. The Vibonics have been putting in a lot of work lately to bring the city their blend of Hip-Hop Rock Funk, so we figured it was as good a time as any to invade their jam space. 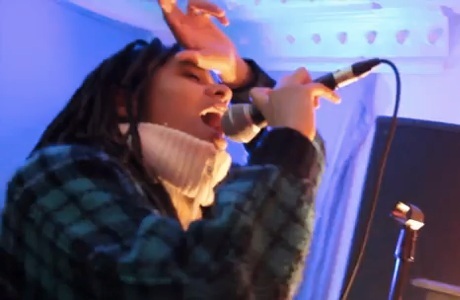 Check out the Vibonics performing 'blah blah blah' live from their jam space. Download the MP3 of the live performance of "blah blah blah" in the player below. "Blah Blah Blah"- Vibonics by Exclaim!